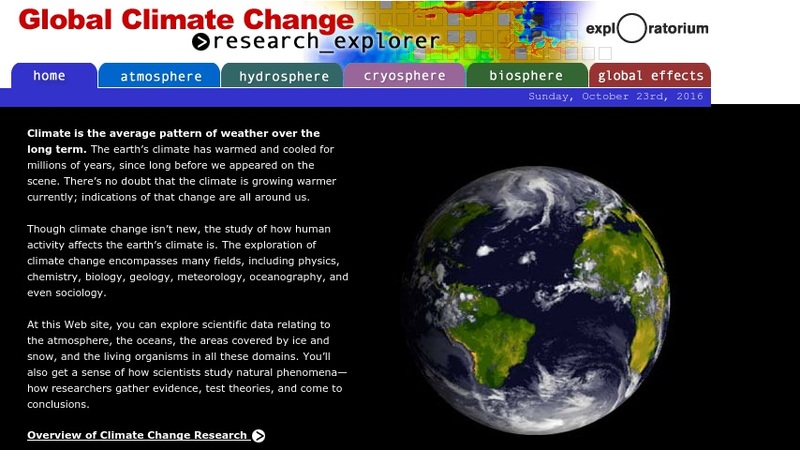 Through the exploration of scientific data, students can discover the changes in global climate through geologic time at this Exploratorium website. Users can find an introduction to the research of the atmosphere, hydrosphere, cryosphere, and biosphere to better understand climate change. Then, visitors can explore more in-depth descriptions and datasets related to these four spheres. Each section offers a few thought-provoking questions and links to more information. Individuals can also discover how scientists interpret past and present climate data and the difficulties associated with these predictions. Anyone needing assistance with the concepts covered should visit the instructive, comprehensive glossary of terms.